Mississippi—like most states in the U.S.—now has very strict laws regarding driving under the influence. Not only will you face criminal penalties if you are convicted for driving under the influence of drugs or alcohol, you will also face a wide array of civil as well as other types of consequences. You could find your auto insurance premiums increase to the point they become completely unaffordable, plus if you lose your driver’s license you could have difficulty getting to and from work, getting to school or taking your children to school, and even problems running your normal daily errands. In the state of Mississippi, you may not drive while you are drunk or high. 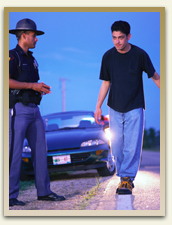 If you are over the age of 21, then you may not have a blood alcohol content (BAC) of .08 percent or more. If you are under the age of 21, the legal limit is .02 percent, and those who have a commercial driver’s license cannot have a BAC which is higher than .04 percent—even if they were driving their personal vehicle at the time of the arrest. Should You Submit to a Chemical Test? Those charged with a DUI in the state of Mississippi who refuse a chemical test (blood, breath or urine), could have their driving privileges suspended for a period of 90 days to one year. This suspension usually occurs prior to your DUI criminal trial. Once you are arrested, you only have forty-five days in which your temporary license is valid. This time limit cannot be extended. The state of Mississippi has the burden of proving you were driving while intoxicated or high and must also prove you refused a chemical test. That being said, the state of Mississippi must only show that it is more likely than not that you were driving while under the influence. Your attorney may be able to show there was no reason to pull you over, or that there was no probable cause. In any case, this hearing will determine whether you will be able to drive until the conclusion of your DUI criminal case. Your attorney can ask the arresting officer questions, and the answers to these questions may aid your attorney in his or her preparation for your DUI criminal case. A felony conviction which will stay on your criminal record and can make it difficult for you to obtain employment, secure a federal student loan, rent an apartment or home, or own a firearm. If the DUI resulted in a fatality, you could face imprisonment in the Mississippi state penitentiary for a minimum of five years, and a maximum of twenty-five years. There was no probable cause to pull you over. With the exception of DUI checkpoints and roadblocks, a police officer must have probable cause to believe you have broken the law in some manner in order to pull you over. Any traffic violation will suffice, however if there was no probable cause, then all evidence subsequently obtained may be deemed inadmissible. The police neglected to read you your Miranda rights. If you are police custody and make an incriminating statement in response to police questioning, the statement may not be used against you if the police did not Mirandize you. The police officer’s observations can be challenged. The officer may say you performed poorly on the field sobriety tests, that he or she could smell alcohol on you, that you were driving erratically, that your eyes were bloodshot or that your speech was slurred. Your attorney may be able to challenge one or more of these observations. There were witnesses who have different observations than the police officer. You have reasonable, valid explanations for your appearance and/or behavior. (i.e., your eyes were bloodshot because you have severe allergies). The breathalyzer machine was not properly calibrated or maintained. The officer was not properly certified or trained to use the breathalyzer machine. There were specific factors which influenced your chemical test (i.e., medications, when you last ate, medical conditions or illnesses). If you have been arrested and charged with a Mississippi DUI, it is extremely important that you consult a knowledgeable Mississippi DUI attorney and that you not make any statements to the police officer until you have spoken with your attorney. Take your right to remain silent seriously, and take your Mississippi DUI charges seriously as they can alter your life in a number of ways. If you are arrested and charged with a DUI crime in Jackson, Hattiesburg, Meridian, or anywhere in the State of Mississippi, you need to fight for your rights and protect your freedom. The best way to do this is to hire an experienced Jackson DUI defense attorney immediately. At Coxwell & Associates, PLLC, our attorneys believe in fighting aggressively for our clients and we can build a defense that is designed to expose the holes in the prosecution’s case against you. Contact Coxwell & Associates today at 1-601-948-1600 or 1-877-231-1600.